Take control of your lashes with Laura Geller LashBOSS Mascara, a lengthening, volumising and curve-creating, black mascara. Working to maximise and dramatise your natural lashes, the mascara is equipped with a dual-sided brush that features long bristles for lengthening, and short bristles for achieving maximum volume, fullness and curl. The moisturising formula will strengthen and hydrate your eyelashes to ensure they look healthy, luscious and elongated. Following the curve of your lashes, brush outward from root to tip. 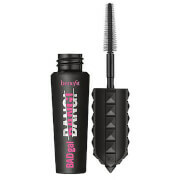 First, use the long bristles to lengthen evenly for a lush hooded effect, and then use the short bristles to plump and curl hard-to-reach lashes. Water (Aqua, Eau), Synthetic Beeswax, Paraffin, Stearic Acid, Acacia Senegal Gum, Triethanolamine, Butylene Glycol, Copernicia Cerifera (Carnauba) Wax (Copernicia Cerifera Cera, Cire De Carnauba), Polybutene, Vp/Eicosene Copolymer, Glyceryl Stearate, Ascorbyl Palmitate, Tocopherol, Hydroxyethylcellulose, Sodium Stearate, Phenoxyethanol, Potassium Sorbate, Iron Oxides (CI 77499). 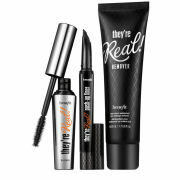 This is the absolute best mascara I have ever used, and I have used quite a few! 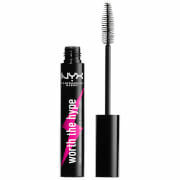 It goes on beautifully, does not clog or straighten your eyelashes (some do!) It does not give you spiders legs, which others claim not to do, but do. As I blew my eyebrows and eyelashes off when I was fourteen, playing the gunpowder plot, they never grew back thick, so they are very fine. I can put multiple coats on and it looks great. I would never buy a different mascara again, and I thank God for Laura Geller.